ჯაჭვისებური გადაცემა There are 4 products. Rust-preventive grease Applied for conservation of bicycle and motor equipment by its preparation for seasonal storage. Protects metal and plastic surfaces against corrosion and moisture. Provides reliable protection against corrosion even by long-term storage under outdoor conditions. Specially developed for high-speed and heavy loaded chains of motorcycles It is applied for lubrication and antiwear protection of bicycle and motor equipment chains. 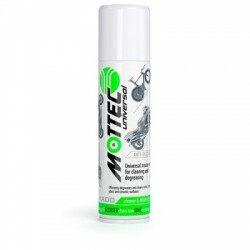 Owing to revitalizant+PTFE (polytetrafluorethylene) complex provides professional protection of motorcycles and motor equipment against wear even at overloads. Universal means for cleaning and degreasing. Effectively cleans and degreases the surfaces of metal, plastic, glass and ceramics. It is used to remove contaminants prior to application of paints and anticorrosive coatings before gluing parts, repair and others. 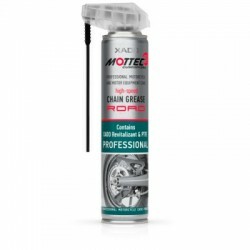 Grease for chains is ultra-waterproof dirt-repellent "RALLY". 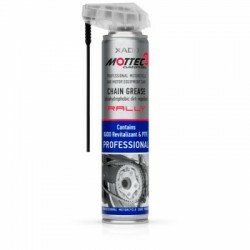 Mottec Chain Grease RALLY contains Revitalizant® and PTFE (polytetrafluoroethylene). For fans of extreme exploitation.